Is Adam Vinatieri having the best season of his 18-year NFL career? By looking at Adam Vinatieri’s 2013 stats, you could not tell that he will turn 41 years old later this month. Vinatieri is putting together arguably the best season of his 18 years in the NFL. 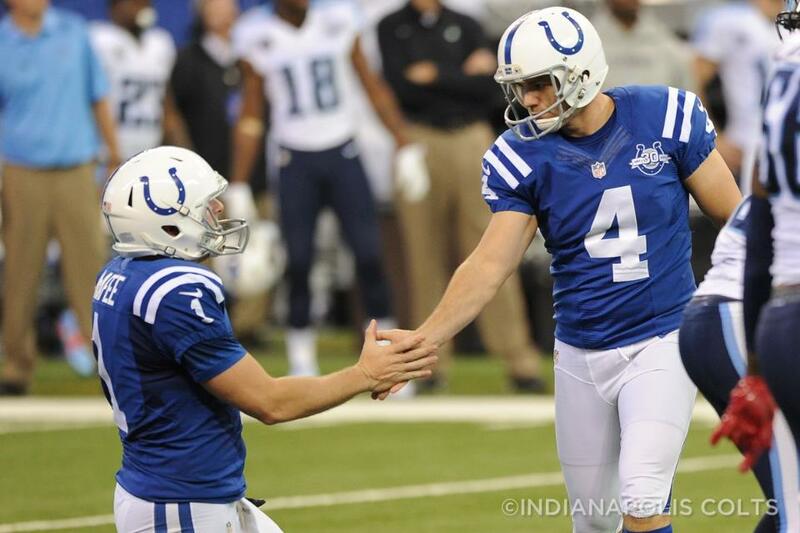 In garnering his NFL-record 16th season of at least 100 points, Vinatieri has made 26-of-29 field goals in 2013. He leads the NFL with 15 field goals from at least 40 yards this year and has already tied a career-high with four field goals from 50-plus yards. With the Colts offense struggling to produce points since the bye week, Vinatieri has scored 39 points in that time frame with his only field goal miss being a blocked kick in Houston. Vinatieri is on pace to set career-highs in virtually every kicking category this season. 2010 season: 26-of-28 (92.9%), 9-10 from 40-49.